Founded in 1964, originally as the Arizona Trial Lawyers Association, the core mission of the Arizona Association for Justice (“AzAJ”) is strengthening and upholding our civil justice system and protecting the rights of Arizona citizens and consumers. Specifically, AzAJ is dedicated to promoting a fair, effective, and impartial justice system while supporting the work of attorneys in their efforts to ensure that any person who is injured by the misconduct or negligence of others can obtain justice in Arizona’s courtrooms. Our forefathers recognized that “we are a nation of laws” and established our civil justice system as the foundation for a fair and just society. Built into the Arizona Constitution, as well as the United States Constitution and the Bill of Rights, our civil justice system guarantees a fair and independent judiciary and the right of any citizen to seek justice by a jury of their peers. AzAJ members are “trial lawyers” and trial lawyers are the guardians of these inalienable rights as they represent deserving individuals who have been harmed by the negligence of others, and together they seek justice. 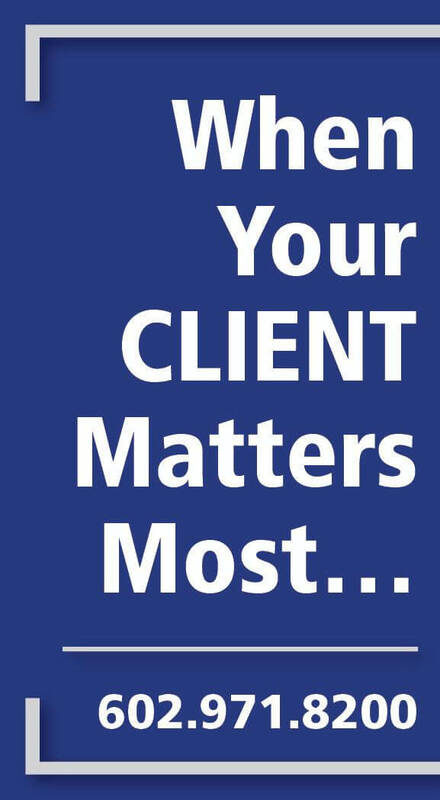 Beyond seeking fair compensation for a client, trial lawyers have ensured accountability from the most powerful of interests in the only realm where all parties are viewed as equals—our courts. From landmark litigation to otherwise routine cases, Arizona’s trial lawyers represent average people who seek fairness and justice.